Equipped with both USB Type-C & traditional USB connector, with backwards compatibility to your USB 3.0 & 2.0 connection equipped devices. Expands data storage of mobile devices without a microSD card slot or has limited storage capacity. 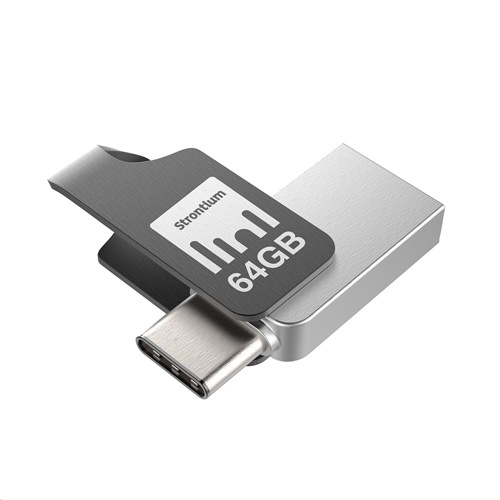 Strontium OTG TYPE-C USB 3.1 flash drive can be your simplest way of data sharing with just a simple plug in and go.